Inkopolis Square will soon be turned into a winter wonderland. The stages will be winter themed and the ink will shine and shimmer like never before thanks to the glitter! 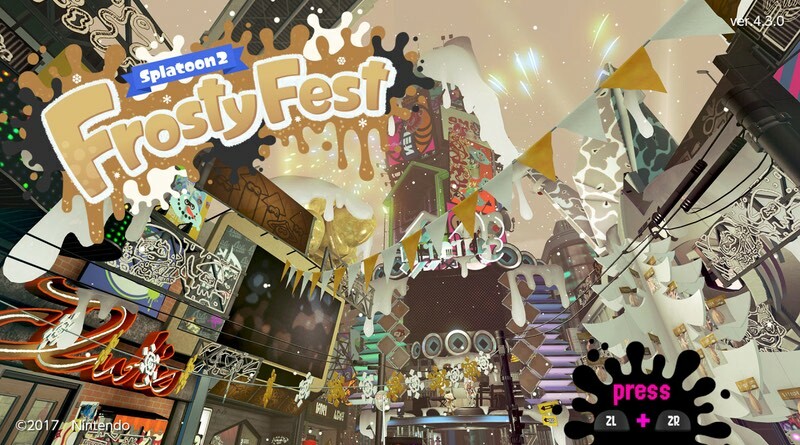 For 48 hours the new global Splatfest will be underway and you’ll get to choose Family or Friends for the holidays. The event takes place on January 4 at 2pm PT through January 6 at 2pm PT. Get ready to duke it out in Splatoon 2!